What did I expect? A crude but awesome kung fu movie. What did I get? Released posthumously, Enter the Dragon materialized in 1973 calculated to deliver, honor, and ratify the legend of Bruce Lee — all in one fell swoop. To say that the Chinese martial arts were ripe for exposure on American shores is an understatement; Lee promptly became the form’s patron saint. 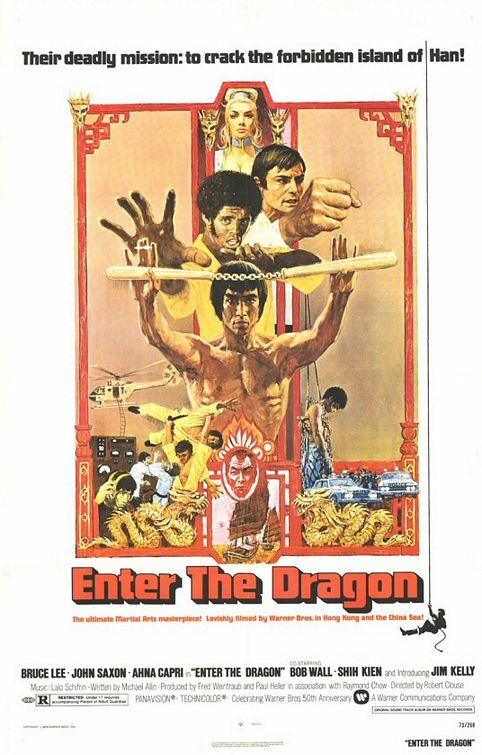 Not half as kinetic, jarring, or hyperbolic as I was fearing, Enter the Dragon is a breezy cauldron of mayhem, even if it does represent some form of cross-cultural slumming. Artfully crude yet brimming with relaxed assurance and wit, the movie’s dirty little secret is that the fights are almost the least of it. What did I expect? A cheesy heist movie! What did I get? 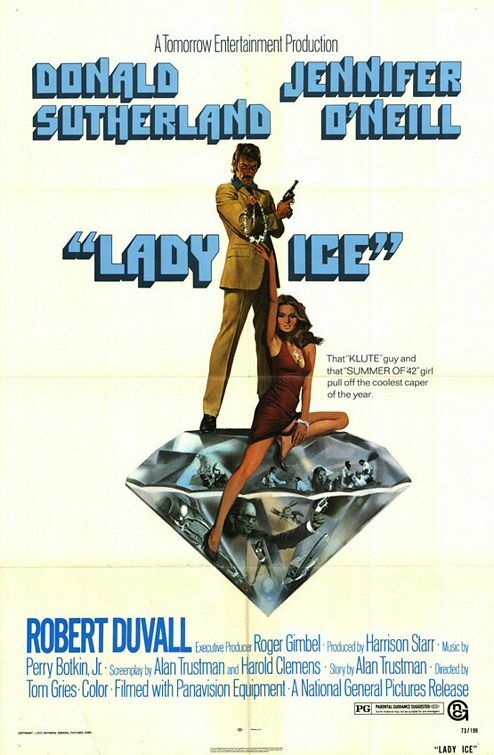 I was looking forward to Lady Ice, by all appearances a slinky, suspenseful, and cheeseball caper movie starring the usually splendid Donald Sutherland. Boy, was I disappointed; it calls to mind the phrase “justly forgotten.” Sweaty, plodding, poorly lit, and poorly mic’d, Lady Ice is basically a 90-minute episode of, I don’t know, Vega$ — only without the zazz. Curiously, Elmore Leonard has written precisely this sort of caper several times, even using the same setting of Miami, but Elmore knows what he’s doing. What did I expect? A cracking good Bond movie. What did I get? 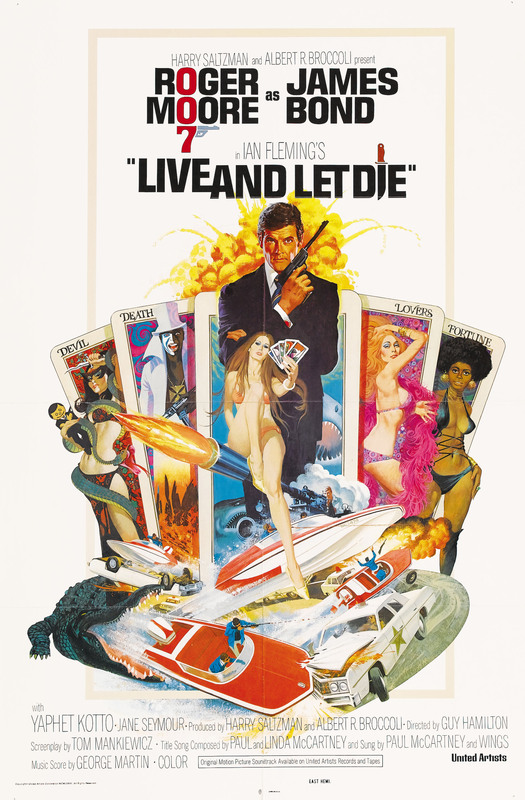 With the transition from Sean Connery to Roger Moore, James Bond crossed that small but critical distance from “rogue” to “rake.” As close to a blaxploitation movie as you can come with a foppish British fancy-pants at its core, Live and Let Die is good on the local color but lazy in the plotting. The ratio of action to exposition approaches infinity; were they afraid of Moore’s ability to deliver dialogue? Less taciturn than epigrammatic, Bond seldom engages in conversation, unconsciously letting the audience in on the movie’s synthetic essence. What did I expect? The last gasp of a franchise that had run its course. What did I get? As always, the Planet of the Apes franchise continues to baffle me. 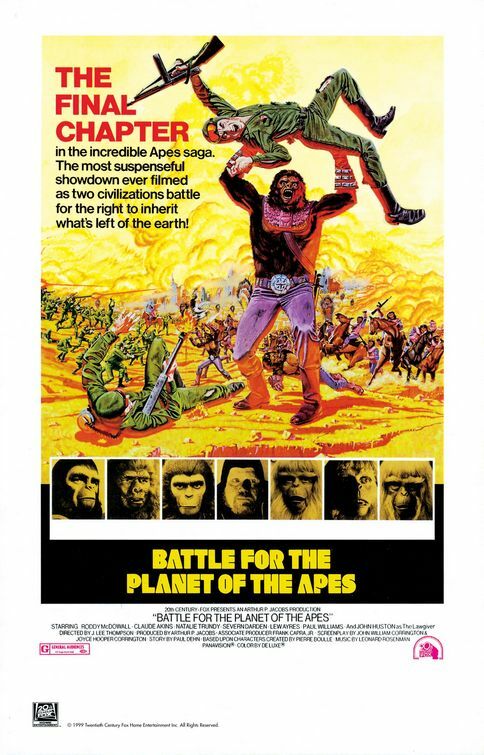 Considering that it is the final movie in the original run, it would be natural to assume that Battle for the Planet of the Apes is an unholy mess. By a palpable distance, the readers of IMDB.com have judged it to be the weakest entry. The movie’s Wikipedia page is replete with tales of disappointment and frustration on the part of the filmmakers. The furthest thing from a die-hard fan, I confess that I cannot find all that much wrong with it — it’s a good deal superior to Conquest and about as good as Beneath and Escape.